An agile supply chain can be defined as a chain of supply that has the potential to respond to changing requirements in a way that accelerates the delivery of ordered goods to customers. In simple words, supply chain agility is a custom adopted by many companies for choosing a dealer. As we know, a supply chain with flexibility and the ability to quickly react to emergency requirements can help the business answer more efficiently to its customers. Apart from flexibility, speed and accuracy are also signature marks of this type of supply chain. To acknowledge the advantages of an agile supply chain, we have to learn about the elements of any type of supply chain. These include elements like collection of orders and processing, supply of materials to create the goods used to complete orders, packaging and transport of finished goods, and the quality of customer service that is advertised throughout the process from the point of sale to the actual delivery and beyond. 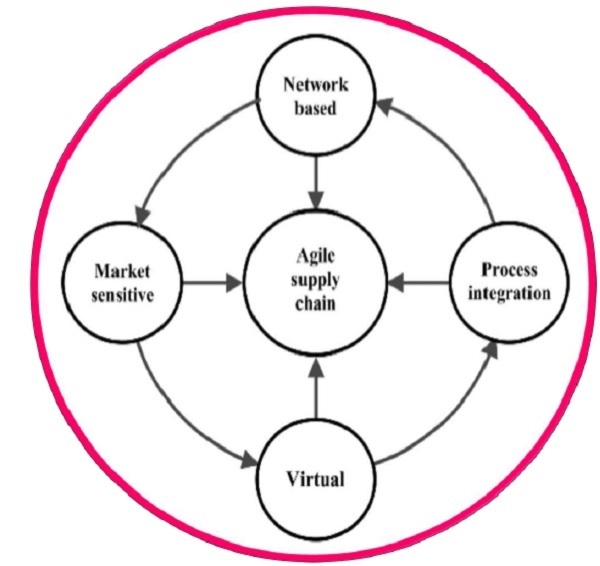 Thus, for considering the functions of supply chain as agile, each one of these elements must be managed efficiently and coordinated in such a way that makes it possible to adapt to changing circumstances. With the help of an agile supply chain, merchants can easily respond to the varying requirements of customer with relatively less time required. For example, if a client has already placed a sizable order but demands the product to be delivered few days prior to the projected delivery date, a merchant with a truly agile supply chain can easily accommodate that change in the client’s situation, at least in part. Working collaboratively, the merchant and the customer develop a strategy to permit the delivery of as much of the order as possible within the new time frame required. There are times when merchants need to think creatively along with some flexibility in terms of scheduling production time, selecting shippers and basically looking closely at each step in the order completion process to search for ways to reduce the time required to successfully accomplish those tasks and abide with the customer’s request. Reverse supply chain states the evolution of products from customer to merchant. This is the reverse of the traditional supply chain evolution of products from merchant to customer. Product returns and handling product displacement. Management and sale of surplus, along with returned equipment and machines from the hardware leasing business. Product acquisition − Accumulating the used product from the user by the reseller or manufacturer because of some manufacturing defect or some other reason. It is basically considered as a company’s growth strategy. Reverse logistics − Shipping of products from their final destination for auditing, sorting and disposition. Inspection and disposition − Examining the condition of the product returned along with making the most profitable decision for reusing it in some other way. Remanufacturing or refurnishing − Returning the product to its original source from where it was ordered in the very first place along with specifications. This is done basically when there is a manufacturing or furnishing defect in the goods. Marketing − Establishing secondary markets for the goods that have been recovered by the merchant from the client who initially ordered it in the beginning but chose to return it. In short, we can say that the enterprises that closely coordinate with their forward supply chains are the one that have been most successful with their reverse supply chains. These two chains create a closed-loop system. For example, the company designs a product layout according to the manufacturing decisions followed by recycling and reconditioning. Bosch is a beautiful example of reverse supply chain. It constructs sensors into the motors of its power tools, which signs if the motor is worth reconditioning. Technology plays a great role here by reducing the inspection and disposition costs, sanctioning the company to make a profit on the remanufactured tools. In fact, along with reverse supply chains, forward thinking results in big dividends.